The final touches are being made to the new-look Hull Microfirms Centre, which is relaunching following a £100,000 refurbishment by Tradepark Ltd. The development, based on the corner of Wincolmlee and Chapman Street, in Hull, has been regenerated with a new exterior, signage, LED floodlights, landscaping and improvements made to the car parking facilities. It has also been redecorated inside. The site incorporates a mix of workshop and storage units in the main building, along with office units in a second building. Sixty-nine of the 80 units are occupied, with 10 new tenants moving in since Tradepark Ltd purchased the site in May. 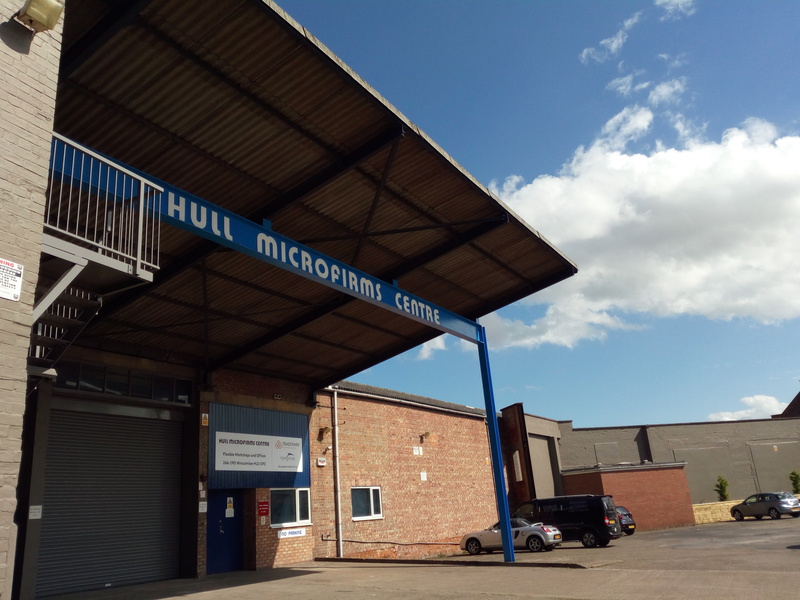 “The Hull Microfirms Centre is a unique commercial site and was a thriving hub of start-up businesses back in the 1980s. From joiners and electricians, to upholsterers, furniture restorers and embroiders, there is still a real eclectic mix of tenants at the site. In the office units, there’s a HR consultancy, couriers and a design draughtsman.